Hong Kong restaurant conglomerate the JIA Group has promoted Derek Li, current chief sommelier at its one Michelin-starred Cantonese restaurant Duddell’s, to the position of group sommelier, overseeing wine programmes for all 10 of its restaurants in the city. As the group sommelier, Li will work closely with all the restaurants’ general managers to create wine lists with a, “unique personality, reflecting the character of individual JIA venues,” the company announced. The group’s 10 restaurant outposts include the city’s popular dining destinations such as 22 Ships, Ham & Sherry, Rhoda and Chachawan. The Hong Kong-born sommelier is known for his savvy wine knowledge and somewhat whimsical and bold wine selections. In addition to mainstays such as Bordeaux, Burgundy and Italian wines, the wine lists at JIA Group under Li’s direction will also highlight gems from lesser known countries such as Greece, Hungry, and China in addition to a few orange and natural wines. Prior to joining JIA Group in 2017 at Duddell’s, Li worked for Michelin-starred Italian restaurant L’Altro and Swire Group’s Mr & Mrs Fox. On top of overseeing wine programmes at JIA venues, Li will continue his role as Duddell’s chief sommelier, selecting wines to pair with food offered at the Michelin-starred restaurant. 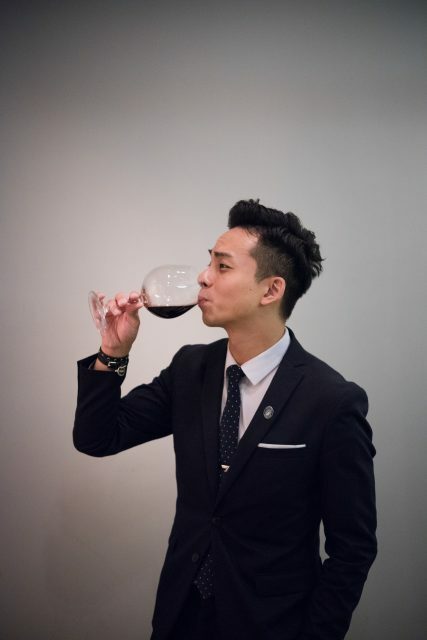 Li won the Best Sommelier in Greater China 2015 competition hosted by Sopexa. A WSET Level 4 Diploma holder, Li is a Master Sommelier candidate for the Court of Master Sommeliers. Later this year, he will be representing Greater China in the Asia Oceanic Sommelier Competition in Kyoto 2018. Founded by entrepreneur Yenn Wong, JIA Group’s current portfolio includes 10 restaurants in Hong Kong. The group also manages Potato Head Hong Kong, in partnership with Indonesia-based hospitality and lifestyle group, Potato Head Family.